SurReel Video had the liberty of producing a product marketing video for SmartMetric. 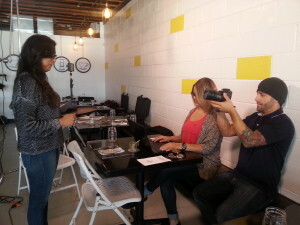 They were in need of a video to show off the consumer use of their new finger print activated biometric credit card. Pretty cool 🙂 They wanted a very cinematic look and feel to the video to appeal to a younger audience as this is the wave of the future. CLICK HERE to see how SmartMetric is using video on their website. The SurReel Video team handled everything from script to screen. 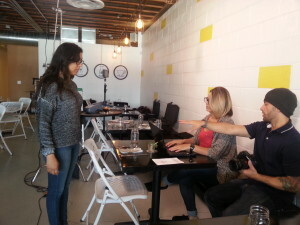 This project was filmed in 2 locations and took 1 day to shoot. 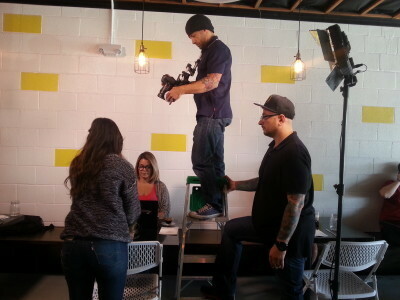 Our crew filmed at Makers and Finders a new urban coffee bar located downtown as well as the Downtown Summerlin mall.